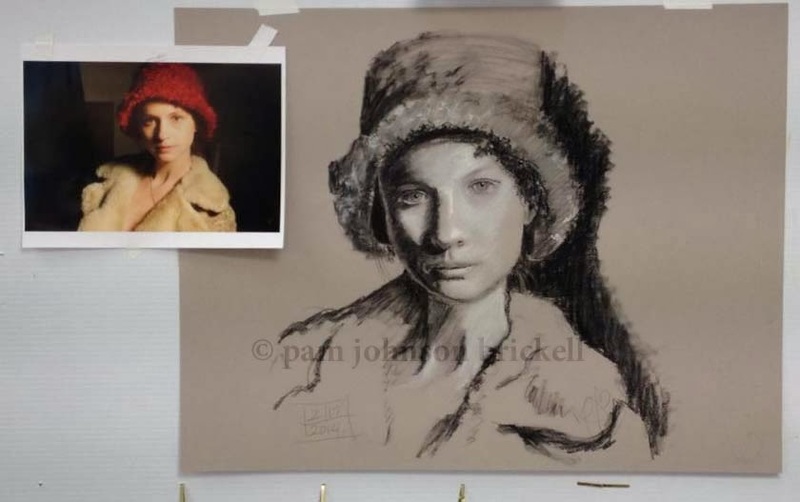 Had the good fortune to take a portrait sketching workshop with Miriam Durkin this week. 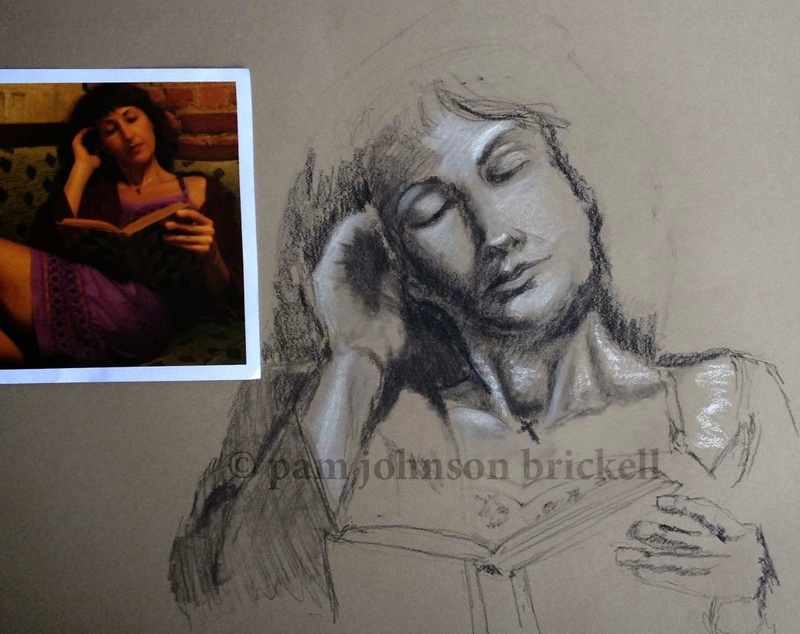 I've not worked with charcoal in over 30 years, nor have I spent time sketching portraits in the classical style during this time. Miriam has a great way of teaching. I'm pleased with my first efforts done Monday. On Tuesday, I started working on a more challenging pose. I called it quits at lunch - think I used all my energy and enthusiasm up on the first portrait. Bring on the paint. Tired of charcoal. This is all part of my challenge to sketch more people in 2014. You're off to a fabulous start, Pam! Love the touches of white. Thanks, Laure! Finally feeling more comfortable with faces. All my life drawings in college had none! Your portraits in charcoal are awesome!